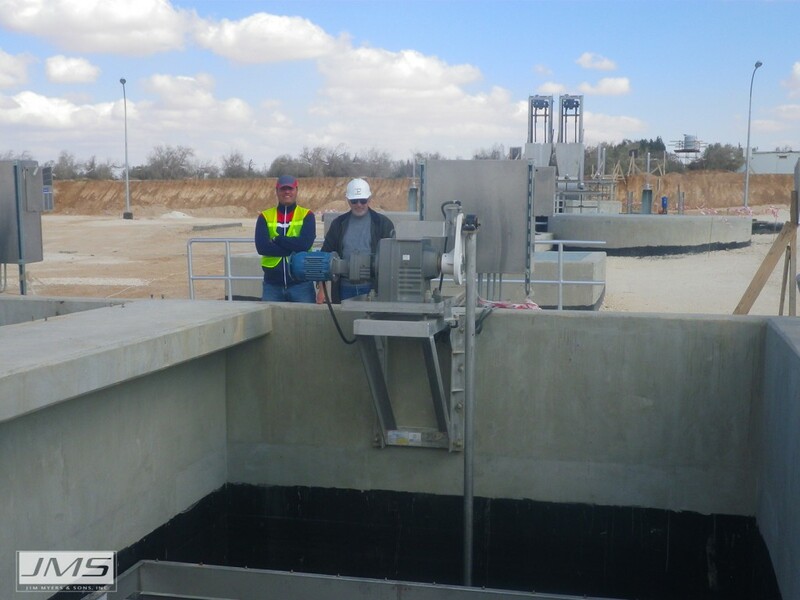 Sedimentation basins are a key part of the water treatment process as they prepare water for final filtration. Excessive buildup of sludge can lead to turbidity issues, loss of effective tank volume, and can negatively affect downstream membranes and/or filters. 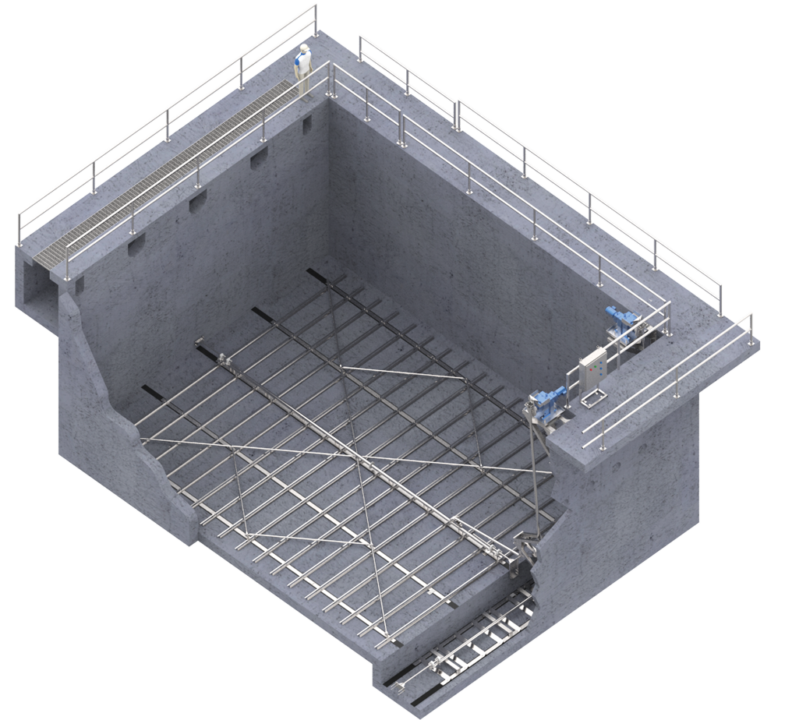 The Mega-SCRAPER (Sludge Removal System), a simple and reliable answer to sludge removal needs, was developed by JMS design engineers using proven design concepts developed over half a century of experience in outfitting sedimentation basins. 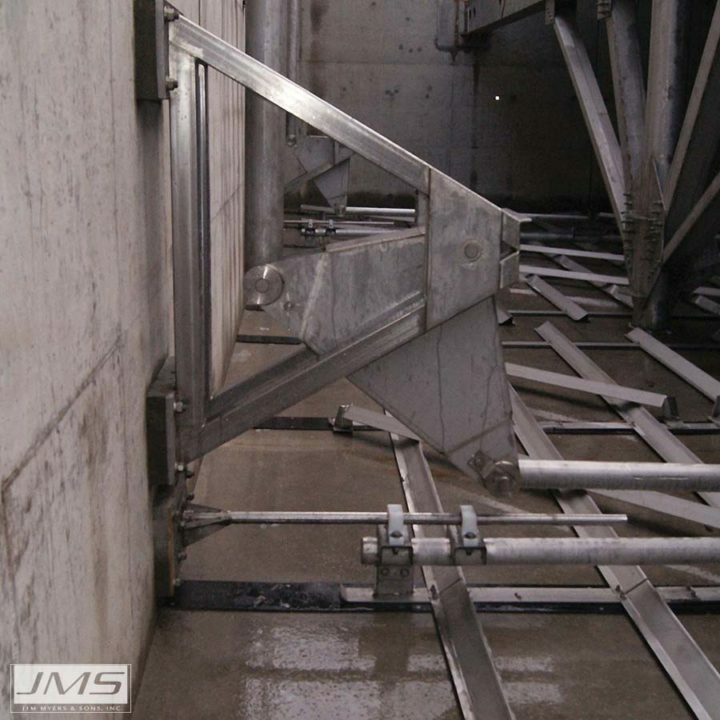 The JMS Mega-SCRAPER (Sludge Removal System) hydro-dynamically designed blades and reciprocating motion produce a thickening effect of the sludge blanket while creating a zone of influence that moves solids toward the sludge collection pit. 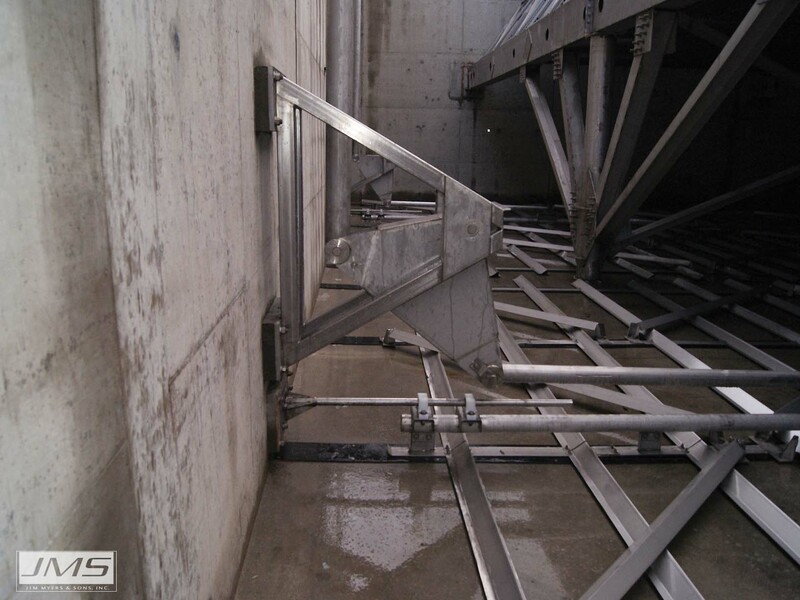 On the forward stroke this blade design transports sludge forward, and slides under the blanket without disturbance of the sedimentation process on the reverse stroke. The speed of the reverse stroke is 2-3 times the forward stroke speed. 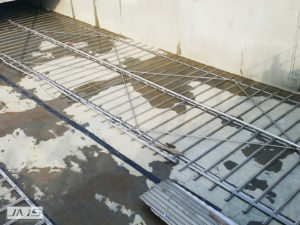 Based on sound principles, but flexible by design, it is applicable in both water and wastewater sedimentation systems. 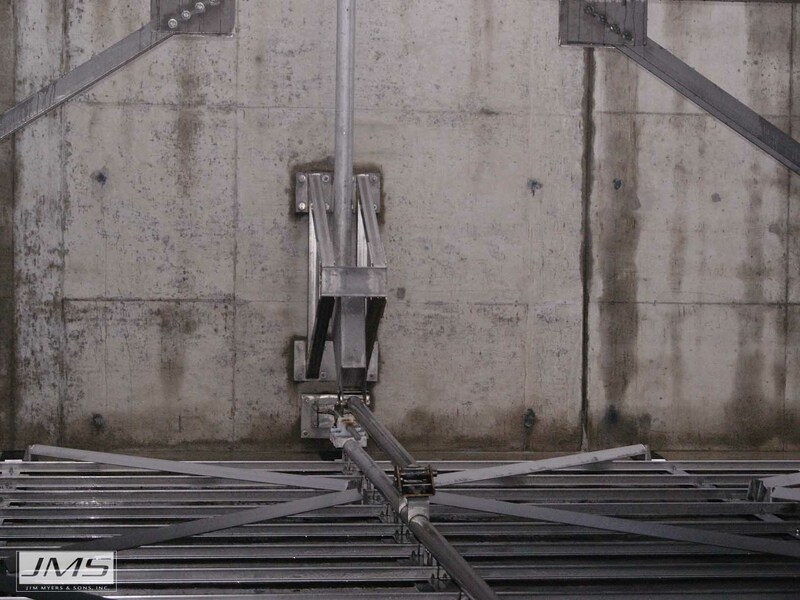 JMS Scraper Assembly uses hydro-dynamically designed blades to push sludge towards the sludge pit. This action creates a zone of influence maximizing solids and reducing sludge volume. The Energy Transfer Triangle allows for allows for energy transfer to the entire scraper assembly. This JMS enhancement allows for optimized torque development. 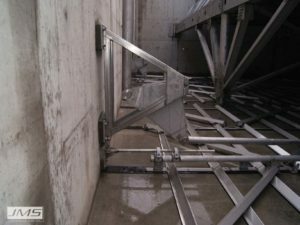 The Mega-SCRAPER (Sludge Removal System) robust design allows for intermittent or continuous operation without excessive wear, and maximum torque development. 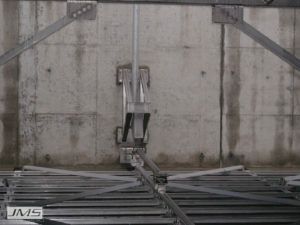 A specialized energy transfer triangle attached to the vertical connection shaft and motion transfer rod, transfers energy to the scraper assembly. 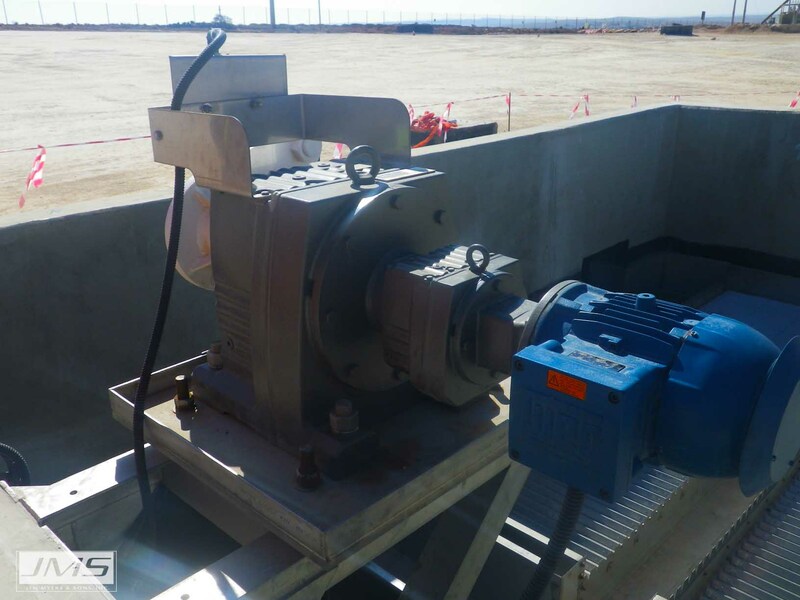 Sludge removal is generally set on an intermittent basis, but frequency and speed can be easily adjusted for changes in sludge characteristics. All units are available with either a hydraulic (power pack and drive cylinder) or electro-mechanical drive assembly (applicable to most systems). Mega-SCRAPER (Sludge Removal System) blades and scraper assembly are reinforced with diagonal cross members for additional strength, and ready for installation without field welding or cutting. 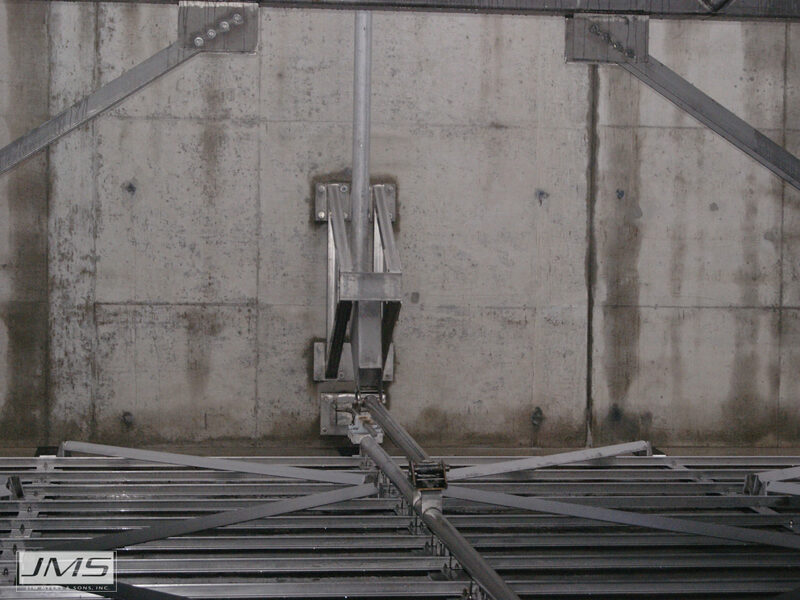 Having minimal moving parts, the stainless steel scraper assembly slides back and forth on low friction polyethylene glide strips installed on the basin floor under stainless steel glide bars. 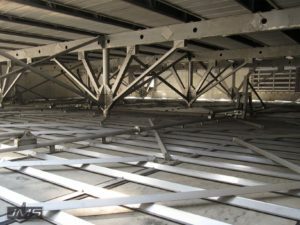 Little to no modification is required on existing tanks prior to installation. 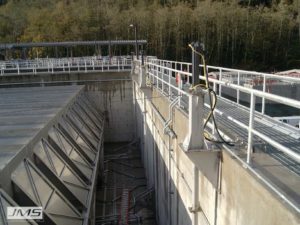 JMS can design and manufacture systems for any size rectangular basin, even those containing obstructions, resulting in optimal 100% basin coverage. 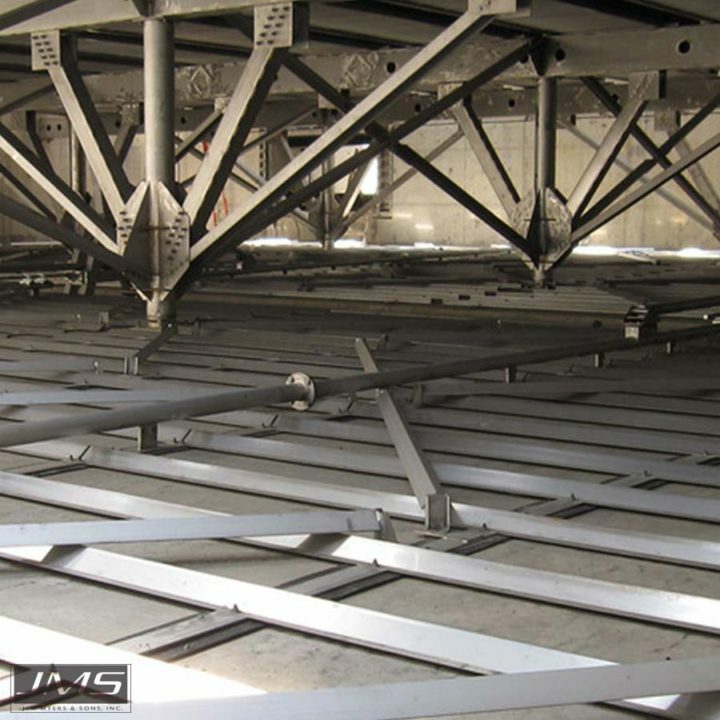 JMS was proud to supply made in the USA equipment for a USAID project in Mafraq Jordan. Mafraq is located in northern Jordan, and is served by the Mafraq WWTP. Bidders were allowed based on their resources and technical experience with projects of similar scope. 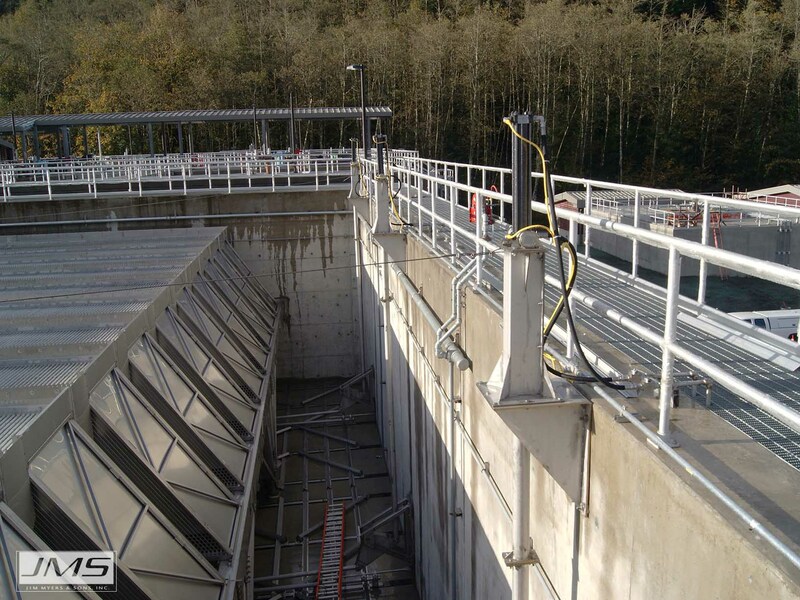 With over 50 years of experience in outfitting treatment plants, JMS was well equipped to make sound equipment recommendations. 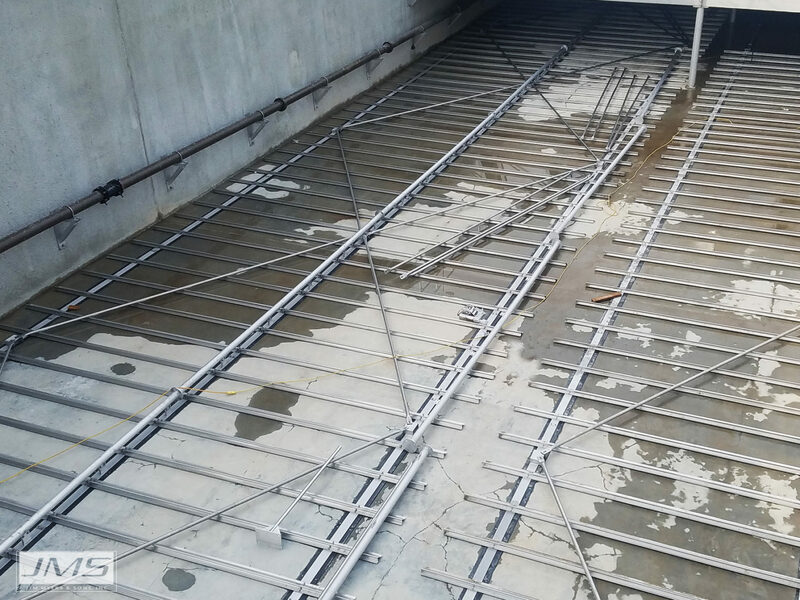 JMS was awarded this project which included supplying our Mega-SCRAPER (Sludge Removal System) and Mega-SETTLER Plate Settler system. Special care was taken in pre-shipment testing, and packaging for the long trip to Jordan. 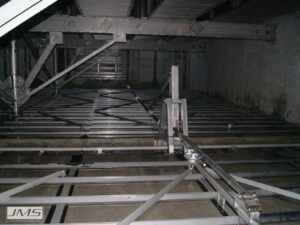 Receiving and construction arrangements were made by the Jordan branch of N.A. Water Systems, a Veolia Company. According to the Project Manager from N.A. Water Systems, Ian Parkinson, the Mega-SCRAPER (Sludge Removal System) unit arrived onsite in great shape and assembled well. 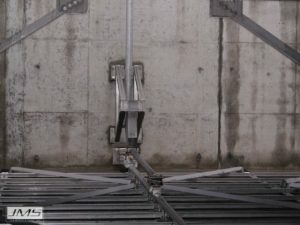 He had significant praise for both the JMS workmanship and Service Manager who visited the site to work with the installing contractor and plant operators on start-up, testing, and training. Subsequent results have been equally impressive, with smooth, trouble-free operation for local operators.